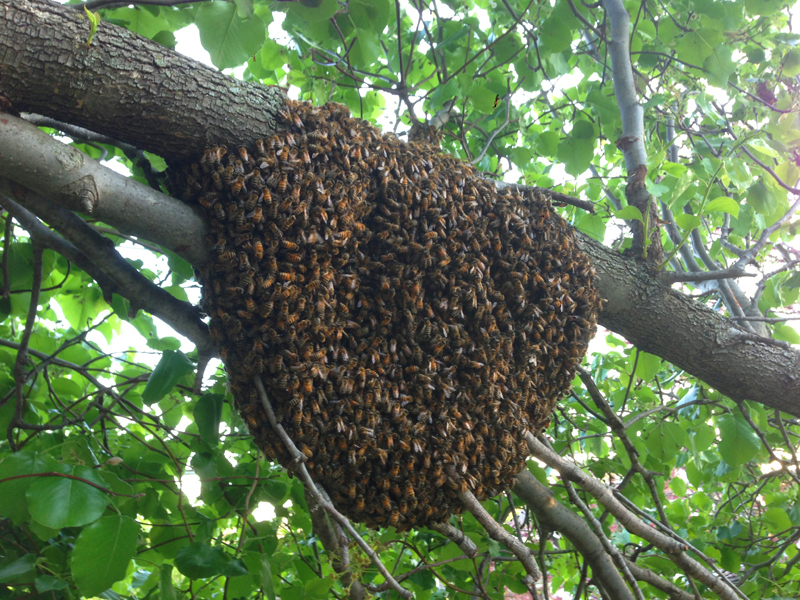 When a honeybee colony is thriving it will generally issue a swarm of bees in the spring. Scout bees lead the queen and a large number of workers out of the colony on a perilous mission to find a new home. The bees left behind will raise a new queen and build their numbers back up. Swarming is colony level reproduction and how one healthy colony becomes two. Haven hives are populated solely with locally sourced honeybee swarms. This is an important part of the Haven mission and has many benefits for the health of the Haven colony as well as the larger wild honeybee population.